Galaxy Note 8 vs. iPhone 7 Plus speed test: Which is better? 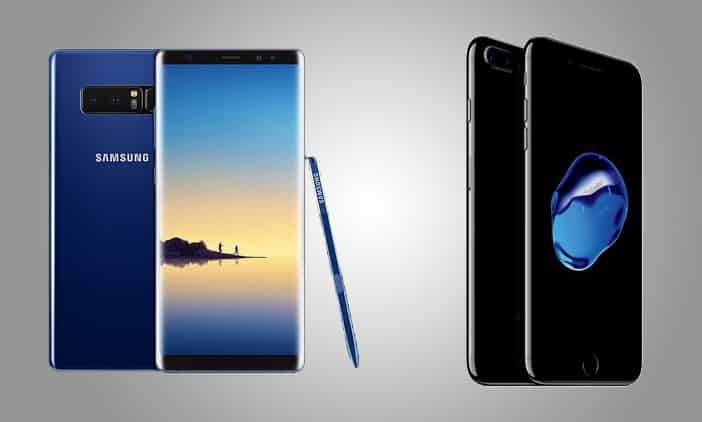 Samsung proved itself again as it is back in the game with the launch of the newest Galaxy Note 8. We know that Apple is always upgrading its flagship phone every year. And so, Samsung’s best phone and best hope against the upcoming iPhone 8 is their newest Galaxy Note 8. But is it better than last year’s iPhone 7 Plus? A YouTube Channel called EverythingApplePro test which is better; the Note 8 or iPhone 7 Plus? Can last year’s iOS flagship beat the Note 8? Watch the video below. Just a little reminder that the Galaxy Note 8’s rival isn’t really the iPhone 7, rather it’s the upcoming iPhone 8(or what ever Apple will call it) that will launch this September 2017.